So apparently I cant count, or keep track of weeks, because this week is week 6 but not the final yet. I included our Intro post in the count and got myself all messed up. Anywoo, next week is the finale and I still have the same amount of work left to do, oops! To check out previous weeks, head here. While I didn't accomplish anything huge this week, I got a few of the details finished. The projects had been on my to-do for a long time so I was glad to cross them off. First up was painting the handles of those inexpensive wood Ikea utensils. 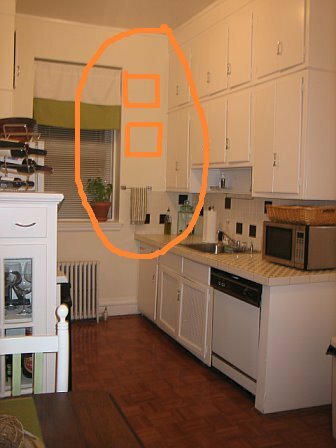 The project has been around the blog/pinterest scene for awhile, same with the packs of utensils I had sitting in my armoire for months! My kitchen makevoer was the perfect reason to finally get this project done. So easy, I don't know why I didn't do it earlier!! Next up was some art for the window wall. It was sad and naked. A few months ago my husband brought home two photographs he picked up in Seattle on a business trip. He knows how much I love coffee and seafood so he bought two Pike Place photos from a local artist. I thought it was so cute he picked them out that I couldn't help but want to hang them somewhere. I also happened to have two frames from a project gone wrong during the last One Room Challenge. After a coat of paint it was a perfect match. Thrift Store frames with a coat of gold paint are always a good idea in my book. Only one more week to go, and boy do I have some major projects to finish. I know I said that last week, but I really mean it this time. I should have taken advantage of the bonus week, but of course life and procrastination got in the way. 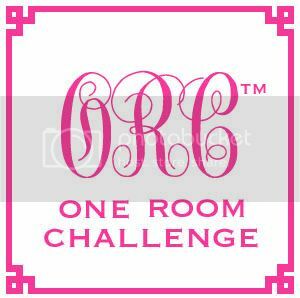 In the meantime go check out what the other One Room Challenge bloggers have been up to this past week! The perfect spot for your prints, and who wouldn't love utensils with a little pizazz! Love the dipped utensils and I love art in the kitchen. Easy and Cute!! I have to try this dip dip thing. Ha! 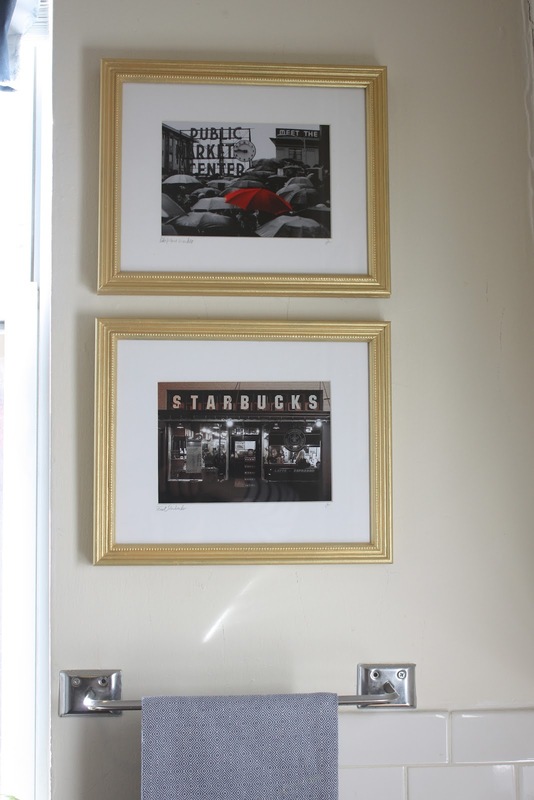 I got the same print of the original Starbucks at Pikes too. Haven't hung it yet - but I love it. You got the counting right, we changed the original format for this round. Love those dippy things...just regular paint? I see Sherry above me, thought she was off the grid? I've been wanting to try the dipped handles too. So fun! Love the dipped handles-but what do you do with them once you have dipped them?? GREAT DETAILS...and amazing what a little paint can do! Great idea! When this is over, I don't think I want to see a can of paint for a while, how about you? I've been wanting to dip a few handles too. Love the photos and the fact that your husband picked them out. That paint dip project looks fun! And I love the art your husband brought home for you. I'm with you on the procrastination -- how is already time for the final post!!? Can't wait to see it all put together! I love all of your little touches and those photos.. good luck with the final countdown! The dip dyed utensils are brilliant! Another thing to add to my DIY list -- they'd make such cute gifts! How fun. I love your use of color in unexpected doses. Those photos are perfect for a kitchen...love them!